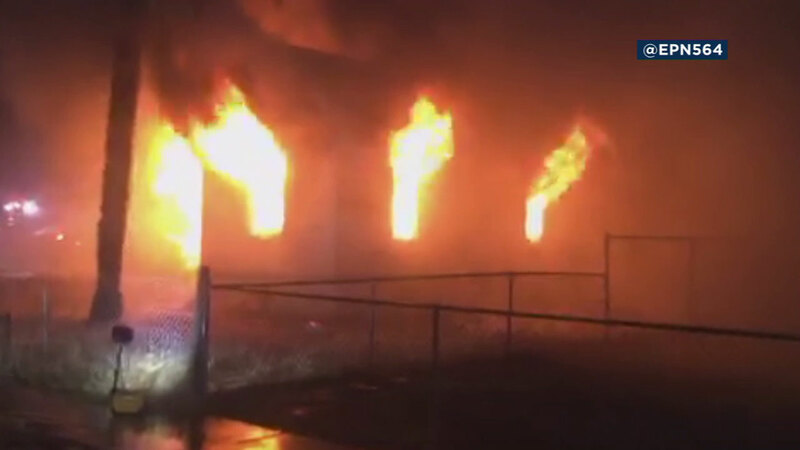 REDLANDS, Calif. (KABC) -- Firefighters battled a large fire in a home filled with items in Redlands early Monday morning. Authorities said the blaze started around 2:20 a.m. in the 200 block of High Avenue. A large amount of debris in the front yard was burning and it quickly spread to the home. The home erupted in flames, but firefighters eventually got control of it. The damage is estimated to be around $200,000. It was unclear what caused the fire.